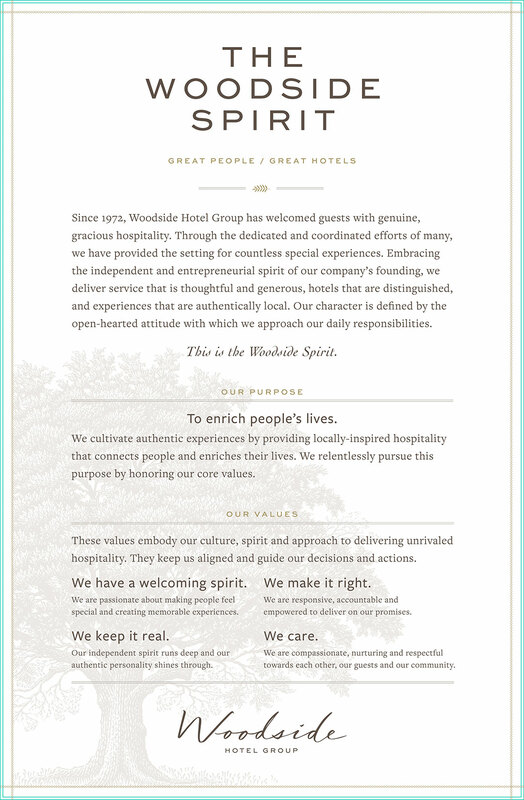 We are operated by Woodside Hotel Group, a values-driven company that believes it is essential for our success that all associates and stakeholders consistently embrace our shared philosophy on hospitality. That’s what defines our culture. We call this the Woodside Spirt; it articulates our heart and soul, as well as guiding our actions, decisions, and objectives.